Welcome to America's Royalty! 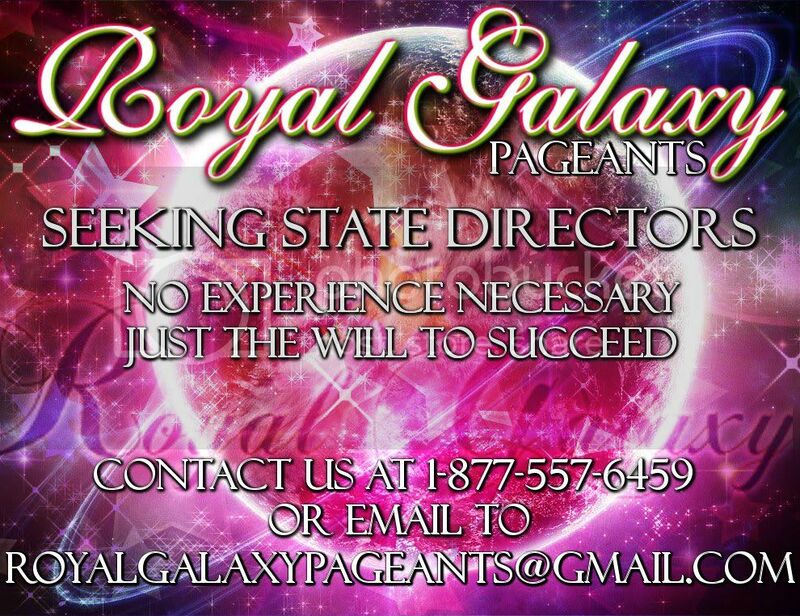 Americas Royalty is dedicated to creating the most fun and exciting pageant system ever! 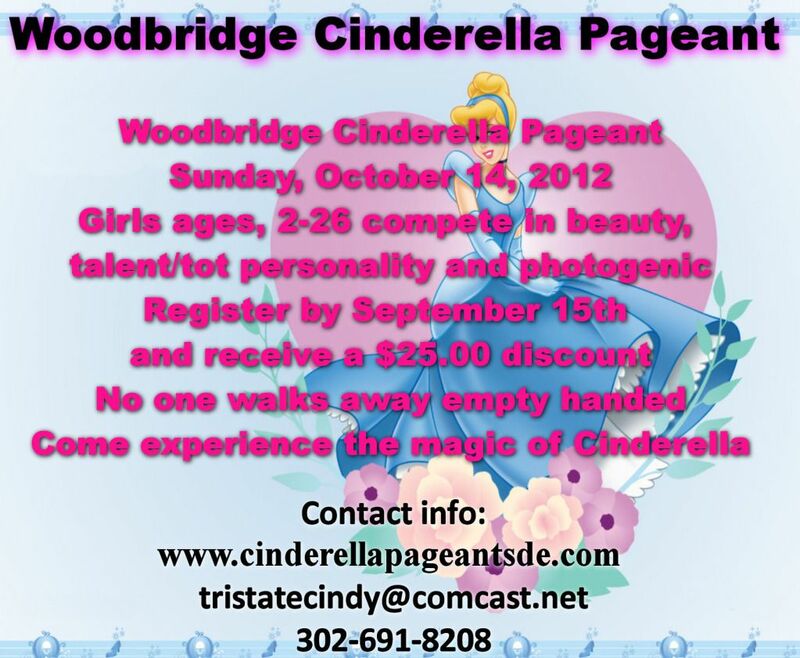 We provide a great atmosphere for girls of all ages to showcase their talents and shine!! All of our pageants, from Prelims to Nationals, are filled with Great Prizes, Savings Bonds, Gorgeous Crowns and tons of fun. We have a fair but competitive system we know everyone will be happy to participate in. Check out our website and join us for one of our Prelims and see the difference! 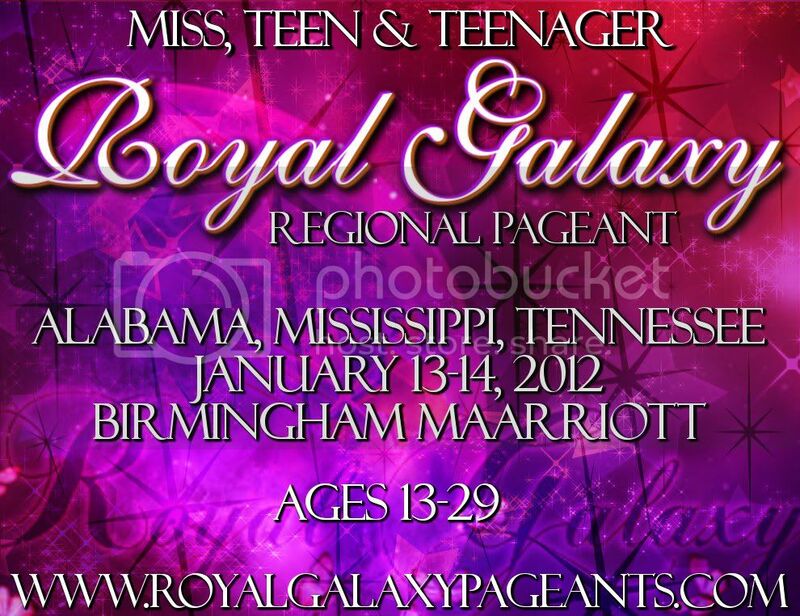 Please feel free to post your Pageant related Ads here. Happy Pageanting !! Walking Close to the Nene Valley Railway Near Wansford: No.. 2. Subject: So you like anime huh? American Grace & Charm NATIONAL Pageant coming to Central Florida April 6th, 2013! 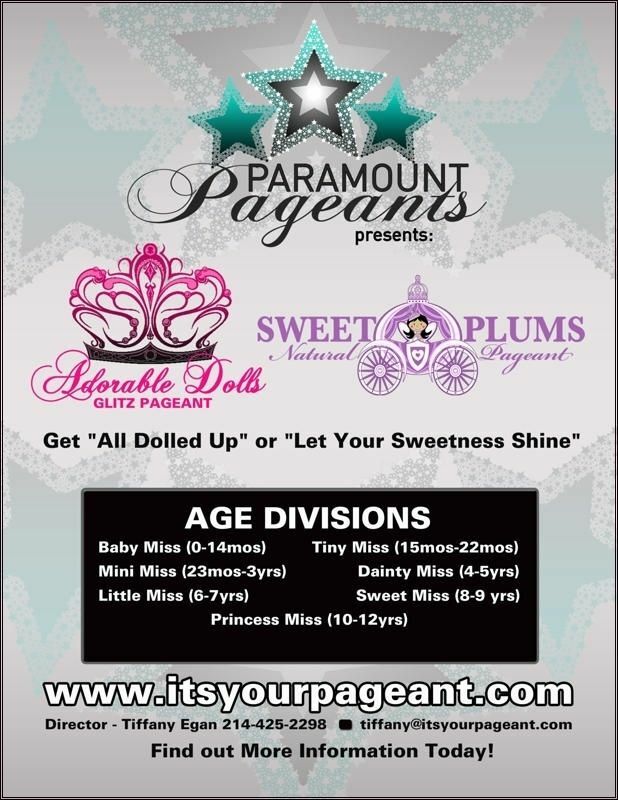 With super low entry fees, rhinestone trimmed satin sashes & custom crowns for our overall winners you won't want to miss it. Compete at large for only $50 or request an appointed title. 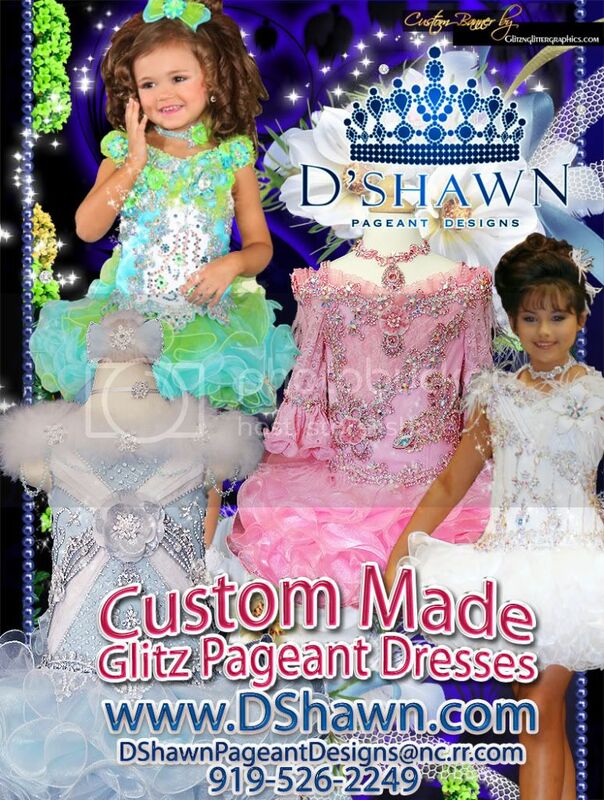 $100 appointed title fee includes crown, satin sash & title of your choice! Get $12 off your entry fee if you like us on facebook and/or follow us on Twitter with code "FORUM2012". 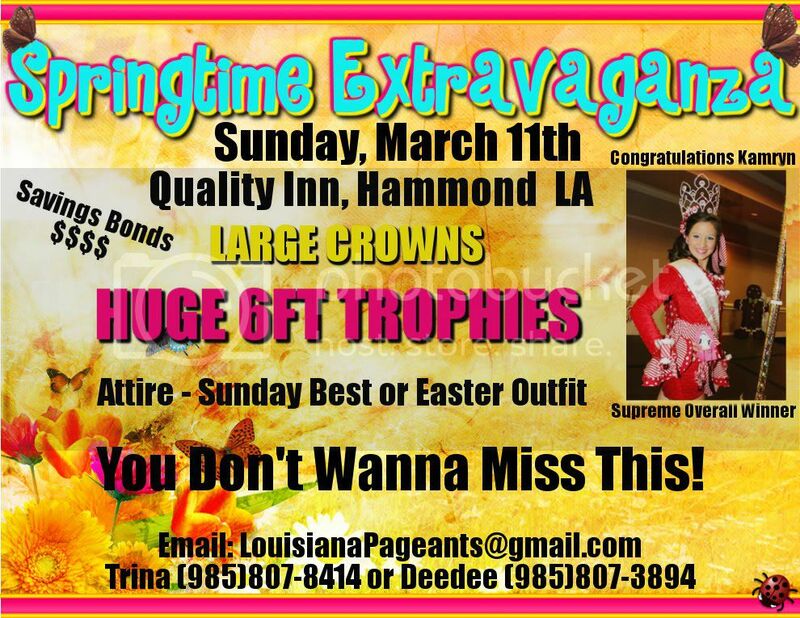 *Springtime Extravaganza*Sunday - March 11, 2012 Quality Inn - Hammond, La. 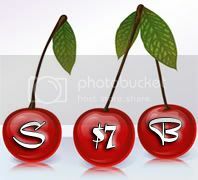 Subject: Celery City Charm SWEET Deal! Click Here! to go to the Entry Form page. Use the paypal button marked $35 and you're done! 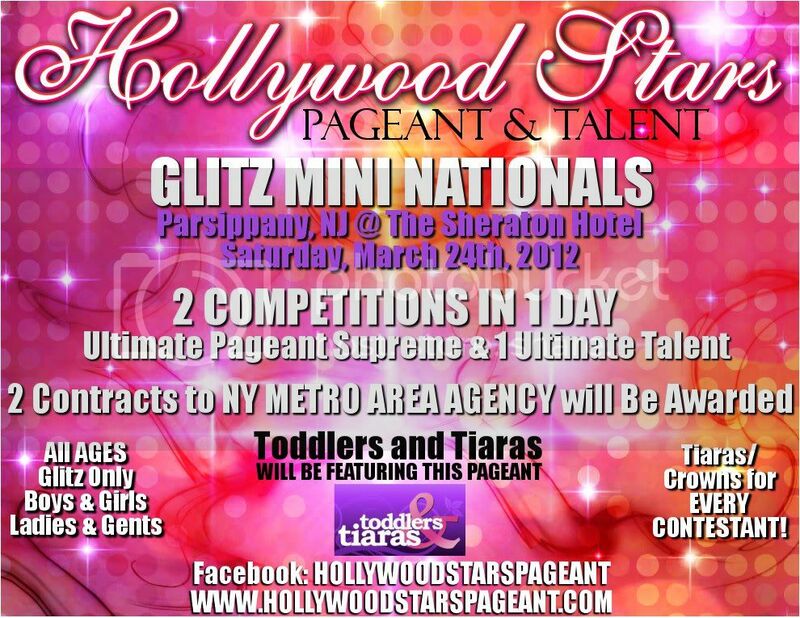 Come Enjoy A Pageant That Is Geared Toward Family!! Enter by 4/10 and take $25 off your supreme package. We Have Added Even MORE Titles & This Year With BIG Payouts! 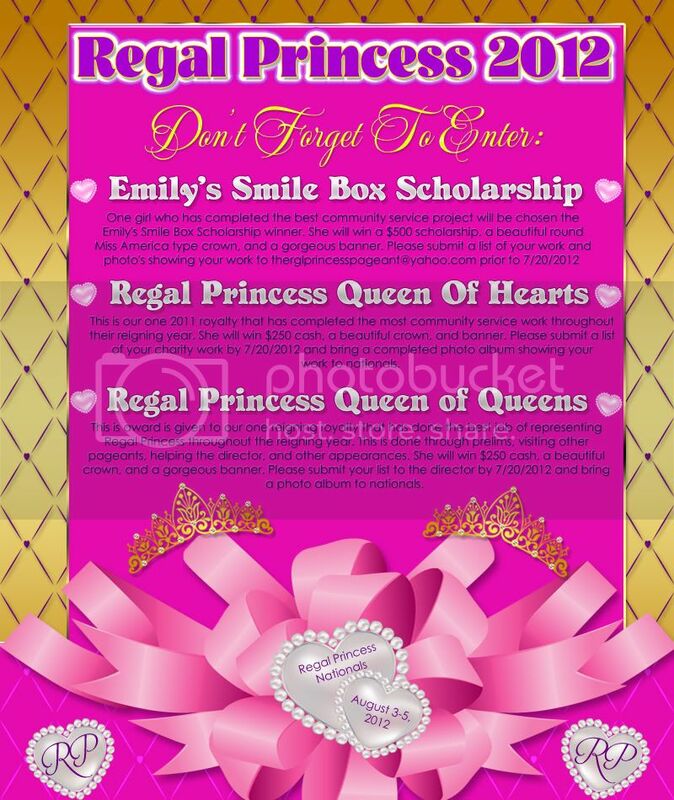 This is our one 2011 royalty that has completed the most community service work throughout their reigning year. She will win $250 cash, a beautiful crown, and banner. Please submit a list of your charity work by 7/20/2012 and bring a completed photo album showing your work to nationals. This is award is given to our one reigning royalty that has done the best job of representing Regal Princess throughout the reigning year. This is done through prelims, visiting other pageants, helping the director, and other appearances. She will win $250 cash, a beautiful crown, and a gorgeous banner. Please submit your list to the director by 7/20/2012 and bring a photo album to nationals. 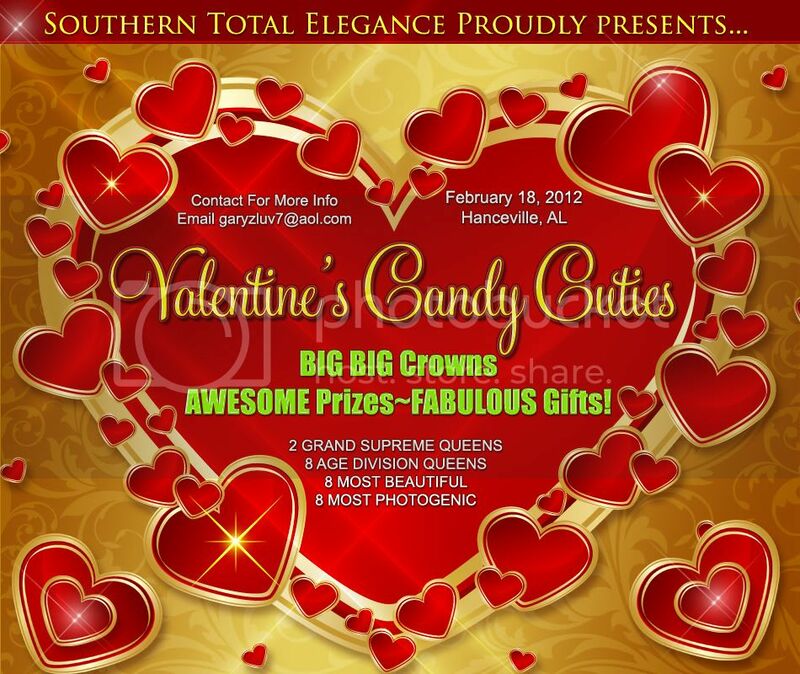 Join Us February 18, 2012 Hanceville, AL!! 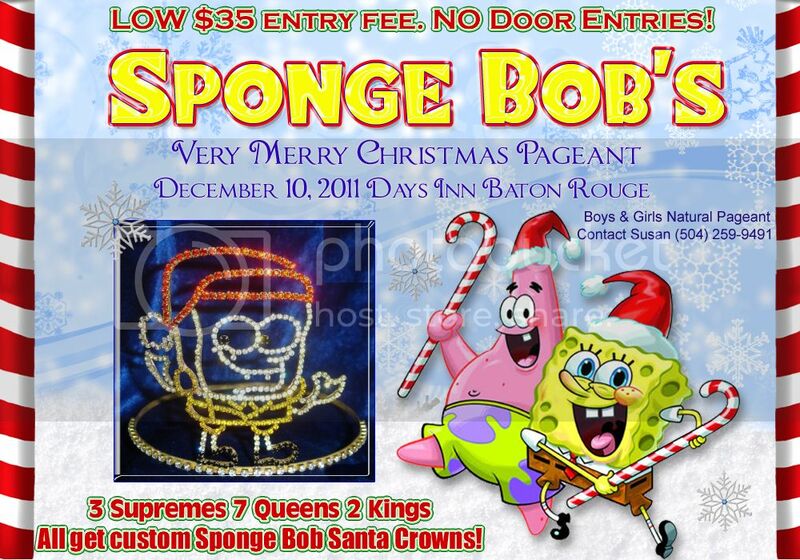 Join Us December 11, 2011 Days Inn Baton Rouge!! Searching for contestants in Jr. High, High School, and Colleges across the USA! 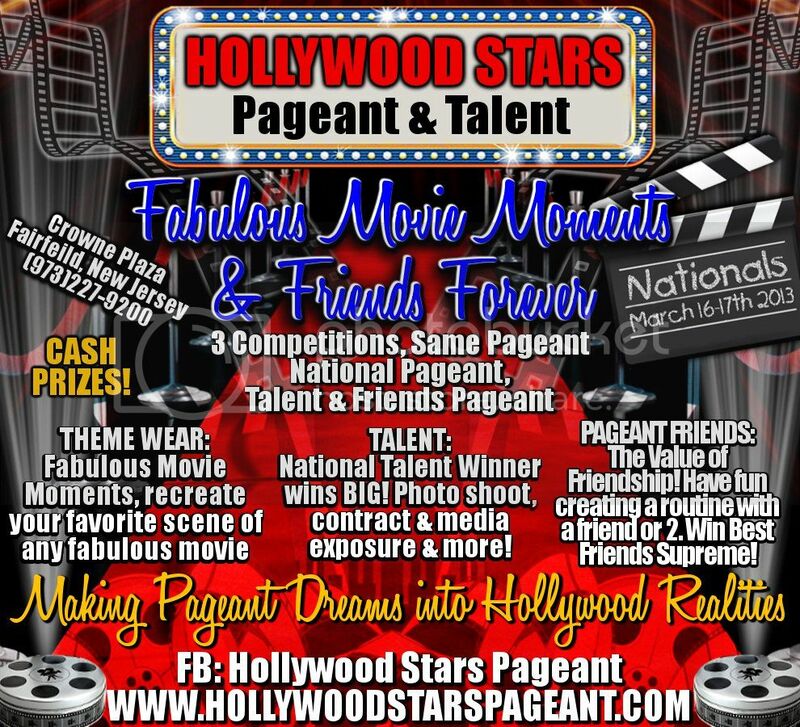 Subject: ALL *~*NEW*~* FLORIDA PAGEANT SEEKING *~*ROYALTY*~*! 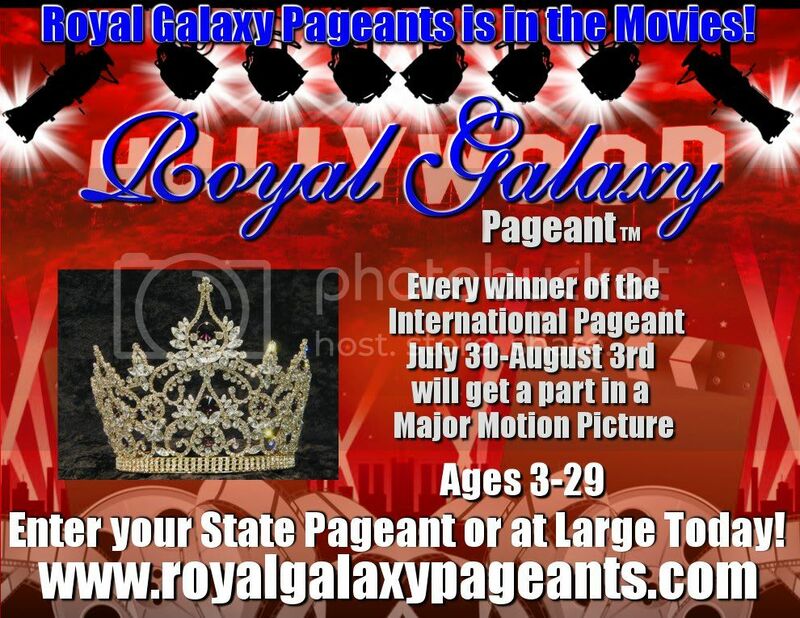 Experience the ALL NEW, ALL AGES Boys/Girls/Ladies/Gentlemen pageant in Sunny Central Florida! Natural - Semi Glitz. Photogenic, Casual Wear, OOC, Optional Talent, Best Style/Hair/Smile and more! Celery City Charm takes place in Historic Sanford, Florida ~ The Celery City. Tenative Dates March 23-25th, 2012 ~ Save the date! Saturday, August 27, 2011Headland High School Headland, Alabama 36345 Lost Cost Preliminary! A deposit is required to lock in this savings plan. Christmas Wear & Outfit of Choice are Any-Thing Goes. The Halloween pageant is always one of our most exciting. Wow we will have great costumes as well as a beauty competition. Must SELECT a partner at registration tell us who your partner will be. Partners are working together to achieve the highest combined scores. Winners of this category each receive a trophy, and treats! This is an optional event and does not have to be entered, however you must enter the regular costume pageant to enter this optional. This optional can be double crowned. AUE Photo Contest Ends This Wednesday!!! This is the ONLY Photo Contest To WIn Fees off AUE!!! 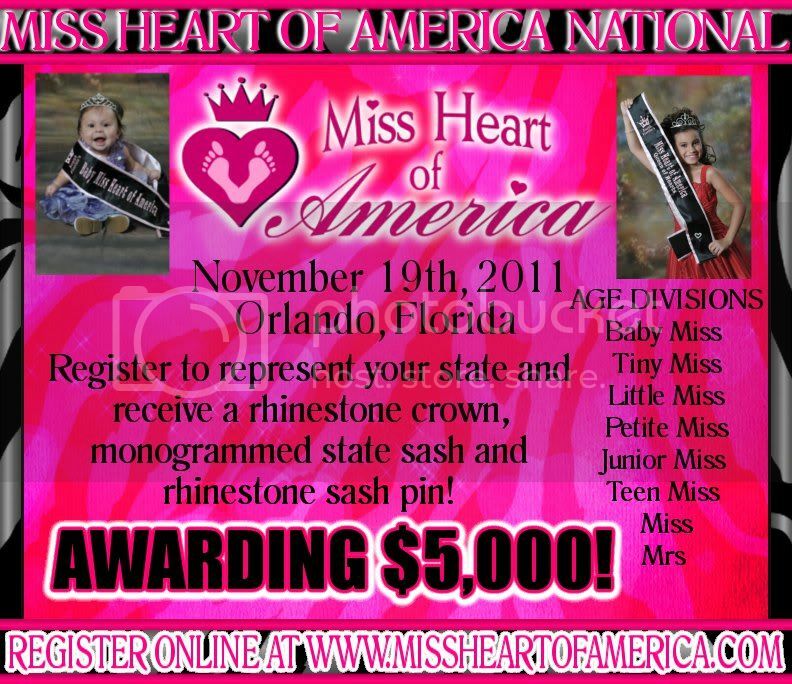 will receive their $555.00 photo contest package paid in full to the 2010 national pageant. WOW!!!!!!!!!!!!!!!!! 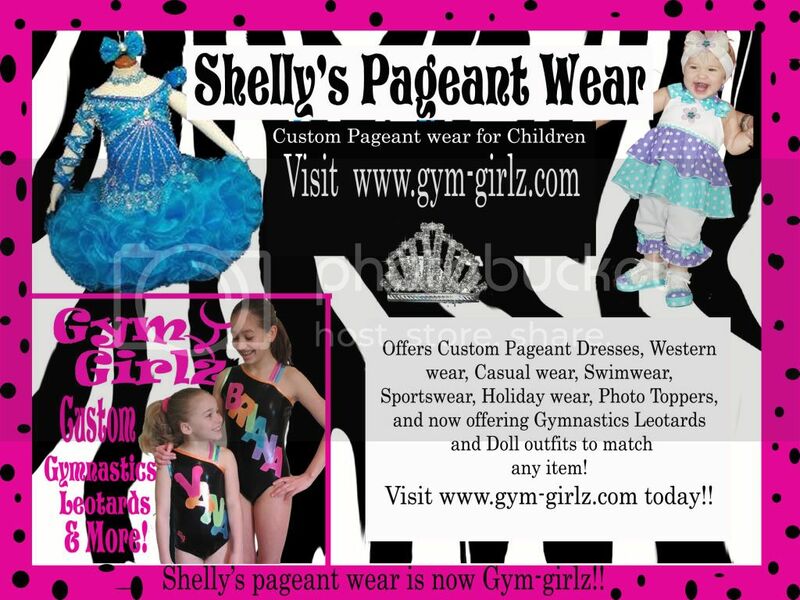 This package includes your $225 mandatory roster fee paid in full, glitz photogenic, natural photogenic, composite, natural print model, Swim Wear and Casual Wear. This is a $555.00 savings. 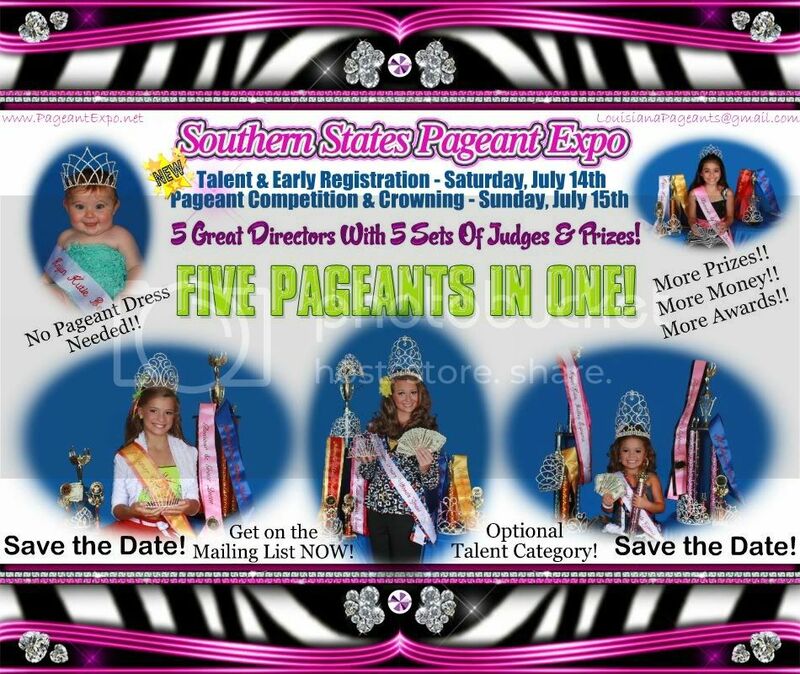 Subject: Miss Junior Motor Speedway�Pageant (Ages 10-13). The search is on for Miss Junior Motor Speedway�. Calling girls ages 10-13 to compete in the Miss Junior Motor Speedway Pageant�. Miss Junior Motor Speedway� will be the little sister to Miss/Teen Motor Speedway�. She will be our princess and make appearances at select races/events. She will be the mascot for "Princess for a Day with Miss/Teen Motor Speedway�". 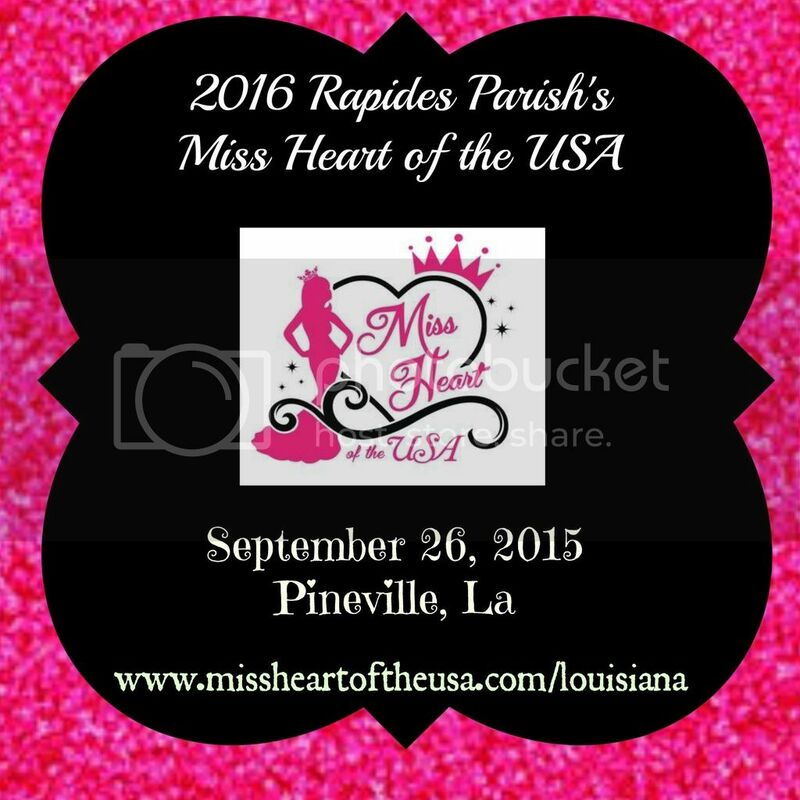 Represent your state at the Miss Junior Motor Speedway Pageant�. No APPLICATION FEE or ENTRY FEE required! To request an application, send an application request to National Executive Director Mamie Jackson at jacksonfog@msn.com or call 615-428-5888. 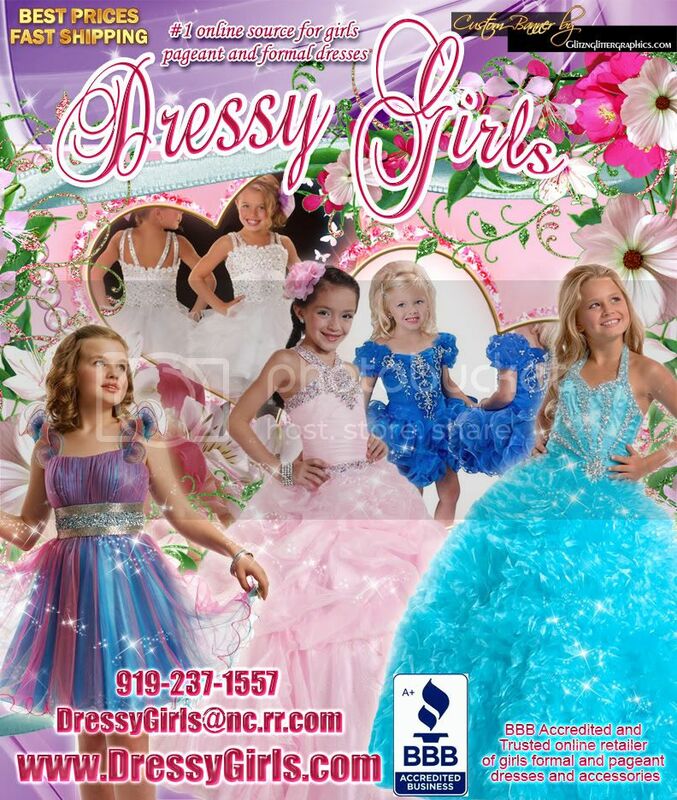 Subject: New National State Pageant dress Babydoll Casual Wear for Sale !!! The search is on for Miss West Virginia Motor Speedway 2011� and Miss Teen West Virginia Motor Speedway 2011�. Miss West Virginia Motor Speedway 2011 & Miss Teen West Virginia Motor Speedway 2011 will compete in the National 2011 Miss Motor Speedway Pageant in Nashville, TN. She will also have the opportunity to be the official spokes person of the Miss Motor Speedway Organization, while traveling the states making appearances at select races and events. Request an application by contacting National Director, Mamie Jackson at jacksonfog@msn.com. DON'T DELAY, SPOTS ARE FILLING FAST! 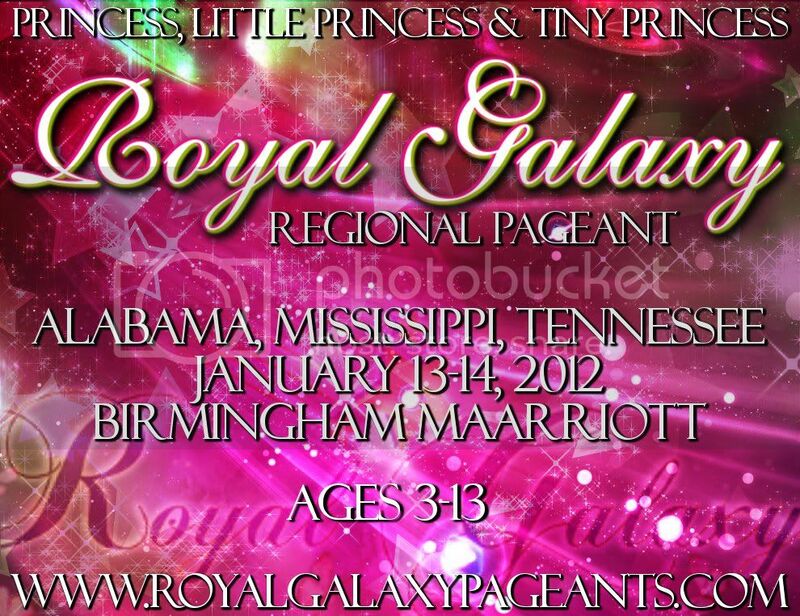 Due to high demand of pageant inquiries, I will accept a limited amount of contestants (first come first basis).